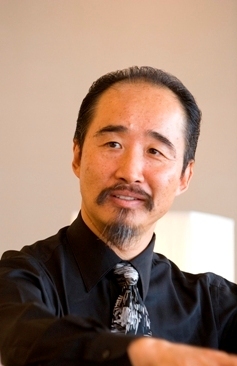 Wednesday, April 17, 6pm EDT: Mitchell’s guest this evening is the inimitable Yasuhiko Genku Kimura, philosopher; ordained Zen Buddhist priest, scholar; teacher of esoteric spiritual philosophies of the East and the West; creator and leader of transformational programs; consultant and adviser to leaders in business, science, and cultural organizations; researcher of science and scientific paradigms; translator of ancient Japanese and Chinese scriptures; and author in the fields of spiritual philosophy, evolutionary ethics, integral science, and business leadership. Mr. Kimura is considered one of the most original, visionary thinkers in the field of integral and evolutionary philosophy. He is recognized for his unique ability to integrate advanced Western scientific thought with intuitive Eastern spiritual insight to bring about radical and lasting transformation in individuals and organizations. His numerous writings and seminars are acclaimed for their originality and spiritual depth. In the field of self-development, Mr. Kimura teaches a uniquely integral way of consciously directed self-evolution by creating a synergistic, evolutionary structure for transformational self-study which is incomparable in its depth, scope, and power—without the usual external authority or guru-follower structure and without the dependency on any particular conceptual models or frameworks. Yasuhiko was interviewed by such outstanding thinkers as Ken Wilber, who recognized Kimura’s intuitively “integral thinking”. Mitchell interviewed Yasuhiko on his TV program going back to Spring 2006, and has invited him back to be a guest on the radio show in Spring 2012, a period of great growth and gestation for these two colleagues and friends. Tune in to hear a dynamic dialogue about the ideas underlying Authentic Thinking and Living, a blend of Eastern wisdom with Western lifestyle and wisdom as well.